It’s carnival time in Brazil, one of the most popular festivities in the Jiu-Jitsu country. But thousands of kilometers away, more specifically in San Diego, California, the gentle art is a reason for celebration all its own. This is because some of the style’s greatest fighters took to the mats on the second day of the World Pro tryouts. And the big name of the event was Antonio Braga Neto, who took first place at weight and open weight. However, there’s no leaving out the performance of team Atos, which, besides seeing the return of André Galvão to competition, dominated most of the black belt divisions. In the under-92 kg semifinal, Braga first had to beat João Assis. After getting the takedown and taking his back, he finished up with a choke from the back. At the other end of the bracket, Marcus Bochecha beat Fabiano “Pega Leve” by 11 to 0. In the decider, Neto returned his recent loss to Bochecha with a sweep and picture-perfect takedown that brought the crowd to its feet. In the absolute decider, Braga faced André Galvão, who was also coming off a win over Bochecha. 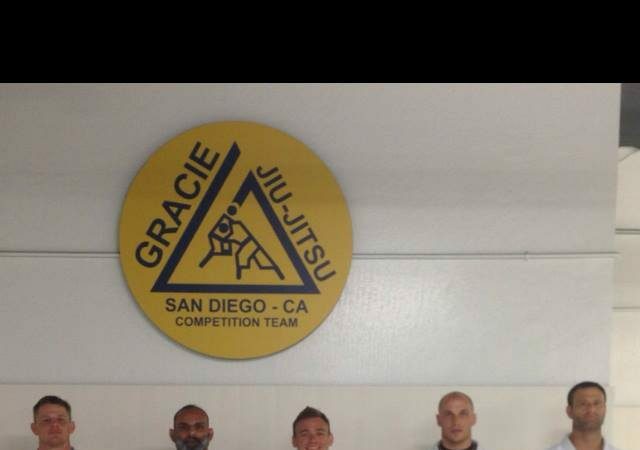 The Ralph Gracie representative managed to mount Galvão and thus secure his second gold medal of the day. At under-65 kg, Guilherme Mendes had to get past Baret Yoshida to join his teammates Eduardo Ramos and Bruno Frazatto, who had closed out the other end of the bracket. Gui swept and passed guard four times (14 to 0) and took first place, with Ed Ramos in second and Frazatto in third. In the under-74kg division team Atos came on strong yet again. Gilbert Durinho and Jonatas Tagarela had already closed out one side of the bracket on Saturday. It was up to Rodrigo Caporal to beat Rodrigo Freitas with a back mount for the team to dominate the division. Durinho then went on to have a friendly fight with Caporal to take gold. André Galvão, who had a splendid showing on Saturday, had his work cut out for him in the semifinal against Clark Gracie, a bout which he won via judges’ decision. At the other side of the bracket Claudio Calasans suffered a sweep from Lucas Leite, but got the takedown and swept to guarantee yet another double win for Atos, with Galvão taking first place. In the under-92 kg class, gold was Marcus “Sharpei” Machado’s. The black belt beat Mateus Castaldini in the semifinal with a takedown, sweep, knee on belly (9 to 0). At the other end, Vitor “Gigante” Toledo beat Marcel Louzado on advantages. In a tough final, Mateus earned his way to the World Pro with two advantage points. And the ladies put on a sterling display in San Diego too. 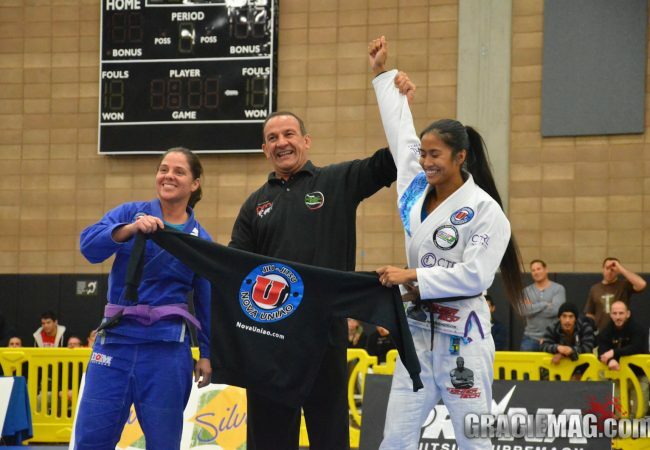 Purple belt Samantha Faulhaber submitted Kiri Liao with a clock choke in the under-61 kg weight group. Now the experienced Penny Thomas beat Nicoli Leite to guarantee her trip to Abu Dhabi.